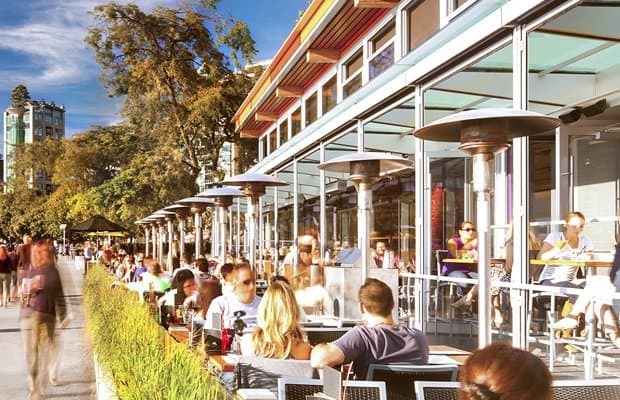 We know there are endless reasons to visit Cactus during the summer*, but we highlighted the Top 10 so you have more time to eat and drink. Easy choice for the top of this list: This limited-time, deliciously thirst-quenching frozen cocktail is also available in the “Brosé” format (in an OG rocks glass). The perfect balance of rosé wine, strawberries, elderflower, vodka, and lemon. Our newest dish brings the Polynesian and Pan-Asian flavours of Hawaii to a Cactus near you. This bowl of fresh, nourishing goodness features Ocean Wise™ ahi tuna, fresh mango, crisp radish, avocado and edamame. Instant classic? Give it a try and let us know what you think! Cactus food, drink and views al fresco. No more explanation needed. What’s better than a glass of good wine? Easy, a bottle. And they’re half price every Tuesday. All bottles (even the bubbly ones). All day. Eat. Drink. Repeat. With more food, drinks and hours than ever, you need no more excuse to stop by! And yes, the rumours are true. You can now treat yourself to the beloved Tuna Stack at Happy Hour prices. Since its arrival to our menus in BC and Ontario, Ceviche has become one of the most popular appies in Cactus history, and is made for sharing as you and your friends drink a cold beer or margarita or two. Ocean wise™ Lois Lake steelhead, sustainably harvested prawns, red onions, thai basil, mint, cilantro, and nuoc cham. Light, refreshing, and the perfect complement to your summer eats. Making a comeback thanks to popular demand. Lively tropical fruit notes, subtle hint of tartness and a refreshing finish? Yes, please. A new signature creation for those torn between the choice of a frozen cocktail vs. on the rocks. Available during Happy Hour, it’s the perfect summer sipper to complement your patio session. What’s on your Cactus Top 10 list? Let us know! Follow us on Instagram or Facebook @cactusclubcafe and share your faves with us.